chris + kristy :: married in the nebraska countryside! Prepare yourself to make the most of chance encounters, and good things happen all around! Just ask Chris + Kristy, whose first meeting was the product of an April Fool's prank in a downtown Boston bar. Kristy's ornery sister, Cindy, scanned the bar randomly selecting a man to approach. "Hey," she said, "would you please go kiss my sister?" she asked pointing. That lucky guy was Chris! It worked out pretty well! Wait, there's more. Kristy found SilverBox with the help of fate, too. Remember, Sarah + Dan, SilverBox couple living in NY married in Wichita? They know Cindy and referred us to Kristy. Whew, gotta love that! Amy joined me in the trek to Tekamah, Nebraska to document the wedding and we were overjoyed by the warm welcome we received from Chris + Kristy and their families. Chris and his family and friends also made the journey from Boston to the countryside of Kristy's hometown, for the occasion. The weekend began with fun on the family farm that included BBQ, horseback riding, a baby goat, Boston accents, and tractors. Oh, and a trip to the local western store...cowboy boots and hats for all! CLICK HERE FOR A SLIDESHOW!!! Kristy is a stunner, eh? Their flowers were amazing as well. Each bouquet had its very own personality! Nebraska showed New England a grand time! CLICK HERE FOR THE SLIDESHOW!!!!!!!!!!!! 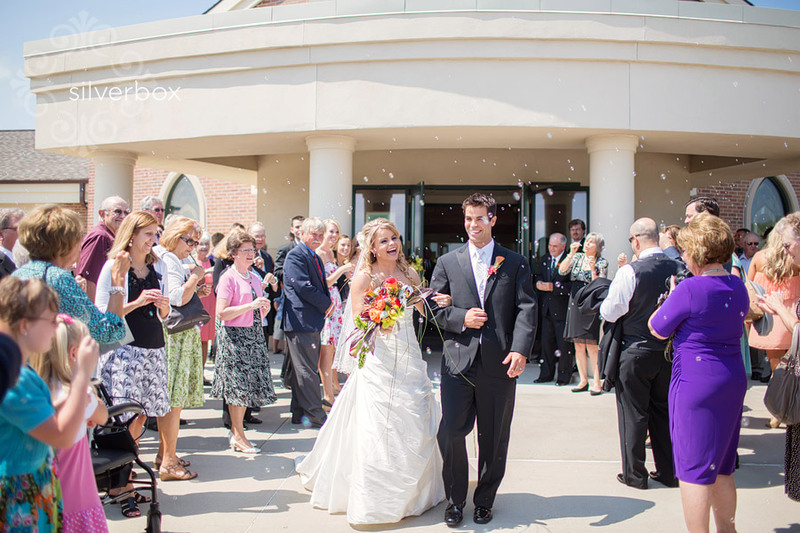 thank you from the bottom of our hearts for including SilverBox in your lovely nebraska wedding. we are honored, flattered and still smiling about the fun we had on your wedding day.